CfP Deadline for Papers and Panels: December 31, 2018. Roundtable Participant Proposal Deadline: January 31, 2019. Undergraduate Student Poster Competition Proposal Deadline: February 15, 2019. Journalist and author Shrabani Basu will provide a distinguished lecture on Indian soldiers related to her recent work: For King and Another Country (2015). Prior to the conference, she will also host a screening of Victoria and Abdul, a film based on her book of the same name. Historian of the British Empire Dr. Susan Kingsley Kent will provide the keynote address. Her esteemed works include Aftershocks: Politics and Trauma in Britain, 1918-1931 (2009); The Women’s War of 1929: Gender and Violence in Colonial Nigeria (2011) and The Global Influenza Pandemic of 1918-1919 (2012). The year 2019 is the perfect opportunity to analyze the global consequences of war and peace. That year marks the centenary of the Treaty of Versailles, which set the terms for peace after the First World War. Unfortunately, the meaning of “peace” was dictated largely by European Empires with limited visions for avoiding future conflict, not only in Europe but around the world. This conference will commemorate the 1919 centenary by hosting an international 2-day conference that explores the on-going legacies of war and imperialism. Shifting our lens to colonial spaces and debates, “Imperial Legacies of 1919” explores the multiple and contending meanings of 1919. In South Asia, for example, the year 1919 was not known for international peace treaties but rather the 1919 Amritsar Massacre during which a British officer commanded troops to open fire on an unarmed crowd. This gave leading figures such as Mohandas Gandhi the moral imperative to fight against colonialism. At the same time, the year 1919 connotes important moments in anti-colonial revolutions in places like Ireland and Egypt. Meanwhile, strikes and labor activism intensified around the world in response to the Bolshevik revolution (1917) and the return of soldiers to the home front. Soldiers, veterans, and civilians coped with wartime traumas, postwar disabilities and demobilization well beyond 1919. The terms of peace and creation of the League of Nations mandates led to the dismantling of the German, Ottoman, Austro-Hungarian and Russian empires. This meant redrawing international borders, including in the Near East, in what became known as the “Middle East” in the United States. Aerial warfare in the League of Nations mandates and during the Third Anglo-Afghan War (1919) targeted civilians with ongoing violence across the imperial world. Pan-Asian, Pan-African, Pan-Islamic and anti-colonial activists attempted to find alternative sources of unity to challenge European imperialism. While the year 1919 holds an important place in world history, issues such as economic inequality, unstable border relations, religious and linguistic identities, veteran and civilian relations, gender inequality, and the long-term traumas of war remain harsh realities for people around the world. This conference will be a timely reflection on pressing global issues that link past and present. Those interested in presenting an individual paper should send a 250-word abstract and current CV by December 31, 2018 to imperial1919unt@gmail.com. Prospective panels should send a 200-word panel abstract, 150 word abstracts for each paper, CVs for each panelist, and, if available, names of prospective chairs and commentators. Deadline: December 31, 2018. Undergraduate students from all universities are encouraged to apply for a place in the undergraduate poster prize competition on any topic related to war and empire. All accepted and completed posters will be displayed at the conference. The conference will be hosted in the new, state-of-the-art, Union facilities at the University of North Texas. 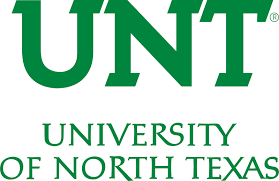 UNT is a tier-1 research university of over 35,000 students in the Dallas-Forth Worth Metropolitan area. We are conveniently located in Denton, about 30-45 minutes from the DFW airport. Denton is center of arts and music with a growing independent restaurant scene in North Texas. The conference organizers welcome and encourage the participation of LGBTQIA+ presenters. We will also host a screening of Victoria & Abdul and a Q&A with the original book’s author, Shrabani Basu, on the evening of April 18, 2019, for UNT and interested conference participants and members of the public. Thanks to the generous support of the Charn Uswachoke International Development Fund, the College of Letters, Arts, and Social Sciences, UNT-International and the UNT departments of History, Linguistics, Anthropology, Political Science, English and Women’s and Gender Studies, we will be able to offer discounted registration to all presenters and participants. Travel assistance is not available. “Conference meals” include one lunch and one dinner and are included with paid registration. Please send all questions, inquiries, and proposals to imperial1919unt@gmail.com. Special thanks to Charn Uswachoke International Development Fund, the College of Letters, Arts, and Social Sciences, UNT-International and the UNT departments of History, Linguistics, Anthropology, Political Science, English and Women’s and Gender Studies for sponsoring this event.